Disclosure: I received a sample for review purposes; all opinions expressed are my own. Since being married for 5 years there's something that's not so glamorous that I've been dealing with: my husband's work shirts. He works a white collar job, but I really should say "brown collar" (is that mean???). He's on the road a lot and his shirts get quite the build up of ring around the collar. 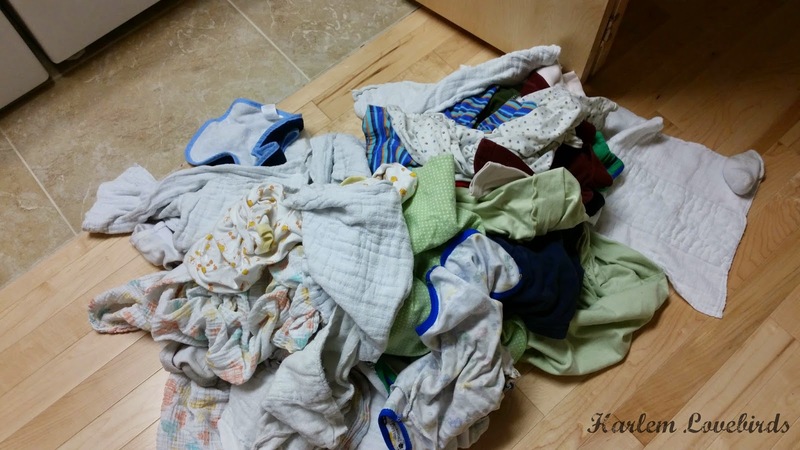 We were fortunate to have a washer dryer at most of our NYC apartments and for a while used a wash and fold service, but as I've handled the laundry for the most part I was determined to find a solution. My mom, a clothing and textile sciences expert (seriously - she majored in it! ), told me to try the old stand by Fels Naptha and while it definitely works, it requires rubbing each neckline, letting it sit then laundering. 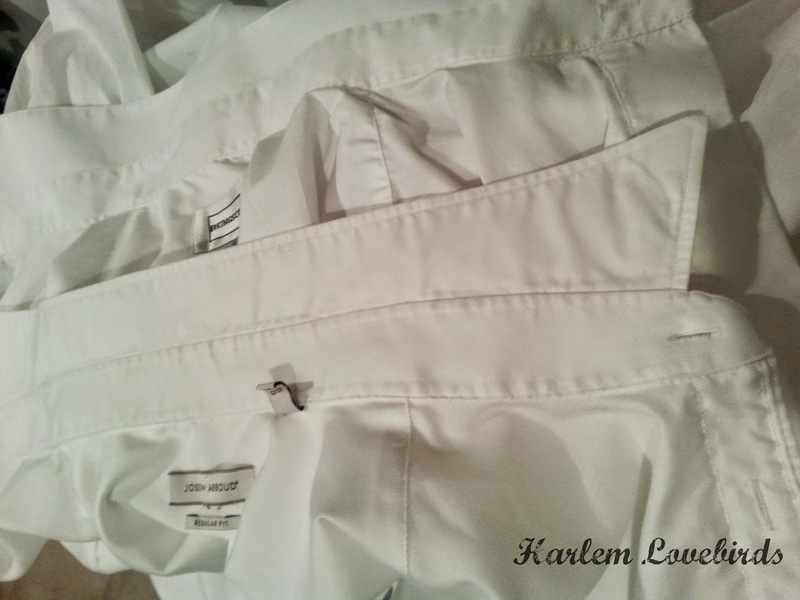 This process causes me to leave washing my husband's shirts for the last load and I often refuse forget to do them so when Wisk reached out to me to try their Deep Clean Power Blasts I wanted to see if the could handle the ring around the collar. Wisk Deep Clean goes beyond surface stains with its patented Miro-Cleaners which penetrate deep inside the fabric to seek out and attack hidden dirt, such as trapped body oils and dirt that other detergents may leave behind. 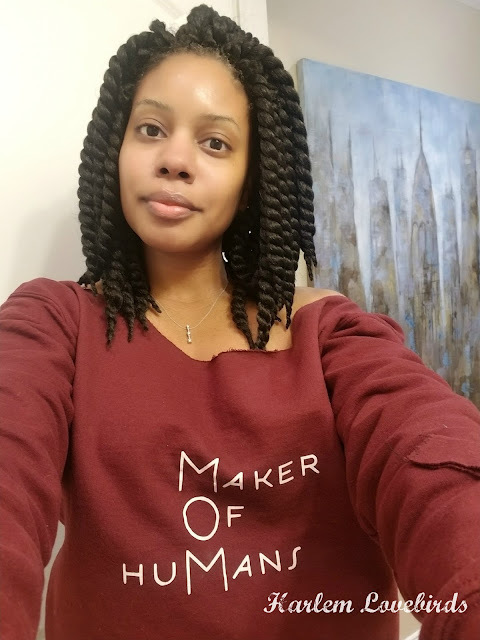 While it sounds super powerful, it's something I wouldn't use on my kids' clothing yet especially with their sensitive skin, but between my husband's shirts as well as all the mounds of adult laundry containing food/bodily fluid stains thanks to life with kids I was willing to give it a try. I'm pleased to see that Wisk Deep Clean Power Blasts work just as good at removing the ring around the collar as my usual method, but the difference is TIME - something I don't have much of. 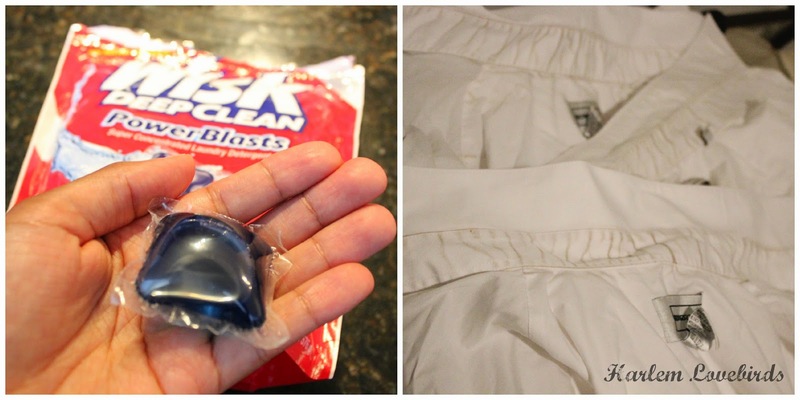 While the price is less than a penny per use for the Fels Naptha, if I only use the Power Blasts for my husband's shirts (1 load a week) it really is a good deal considering the time it saves me. 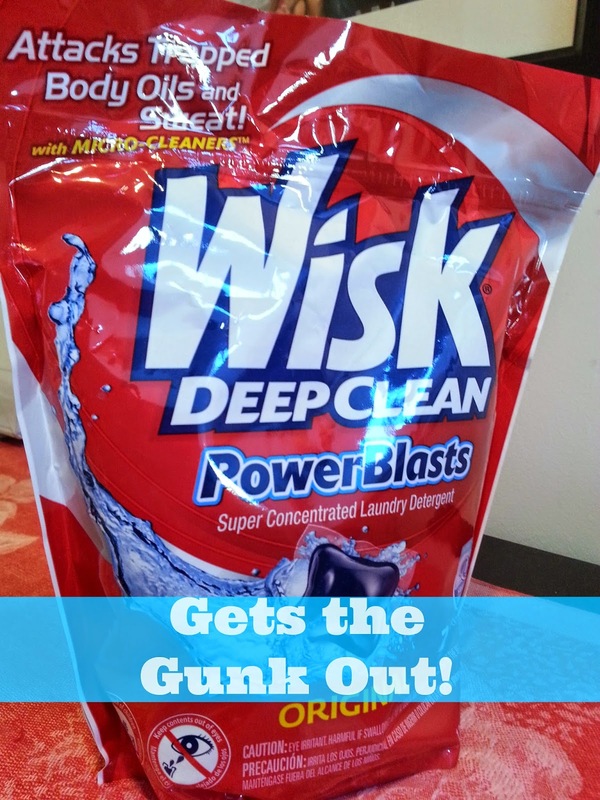 To find out more about Wisk Deep Clean visit their website and visit their Facebook page to use their gunk calculator for your family's laundry (our gunk jar is 75% full O_o).